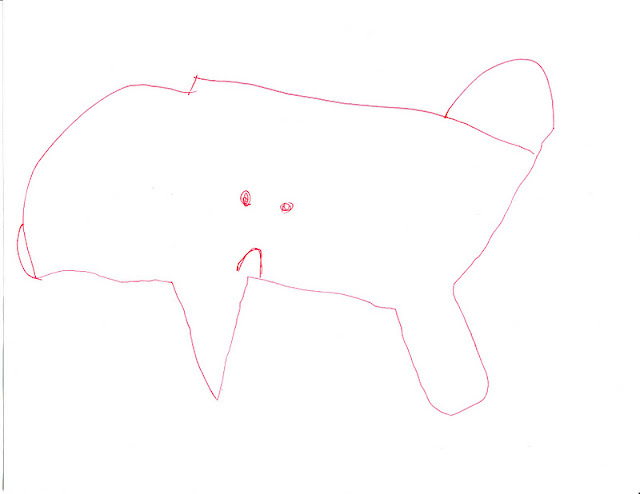 When I asked him why the United States was sad, he replied, "Because I'M sad!" Yes, My Love, the entire country mourns with you when you can't stay up past your bedtime. I can't even tell you how many times a week I break this poor guy's heart. So basically, the point of this post: kids are awesome. Especially my kids. I mean, most days I feel like pulling my hair out. But when it comes right down to it, I sure think they're pretty cool. 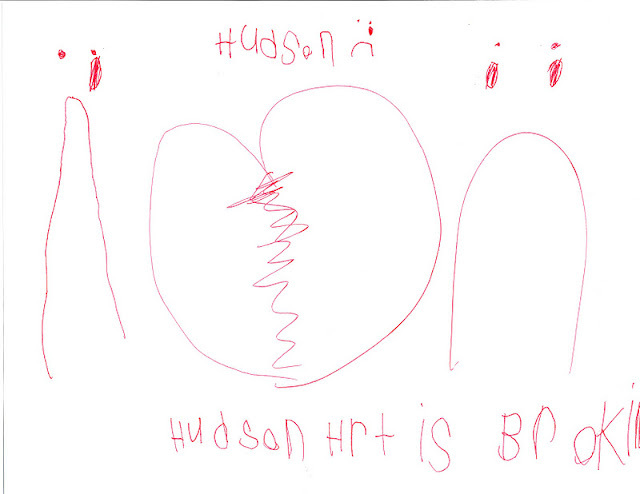 I love that Hudson is getting so good at expressing his feelings. 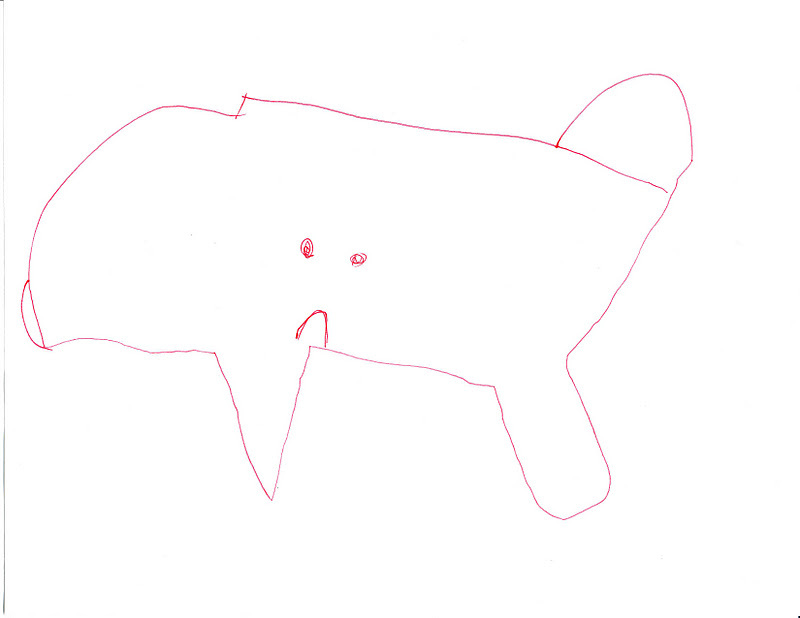 And I think it's pretty rad that he can draw the United States better than I can. Now I gotta stop stalling and go make some T-Shirts. im pretty sure i wrote my mom + dad letters when they made me super mad, would love to get my hands on those now. haha! This is hilarious! I love them. 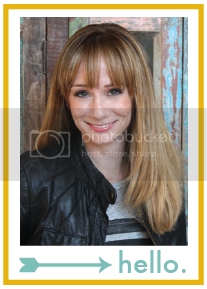 Oh for cute! 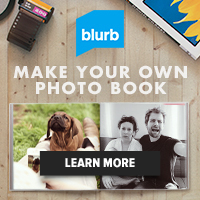 That just made me chuckle. Kids crack me up. Earlier this week a Kindergarten at my school asked me if I was wearing a costume. I guess my ruffled dress with leggings outfit needs to be tossed out?! Oh I for sure have a few of those drawings floating around the house too! But the sad united states is the best! 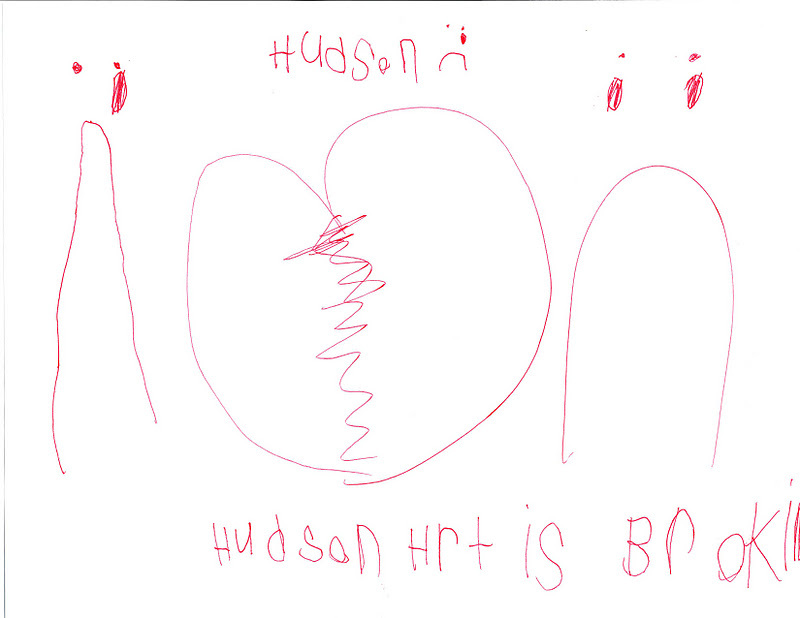 awwwwww my heart is brokin... what a precious and SMART KID! He is lucky to you as a mama!!! You must be in serious nesting or baby loving mode right now. CAN'T WAIT!!!!!!!! !